8 “Must Grow” Plants For This Year’s Garden! It’s hard to believe, but we are just a couple of weeks away from starting our seeds indoors for this year’s garden! Our garden is used not only for fresh food throughout the Spring, Summer and Fall months – but also with a lot of canning in mind. 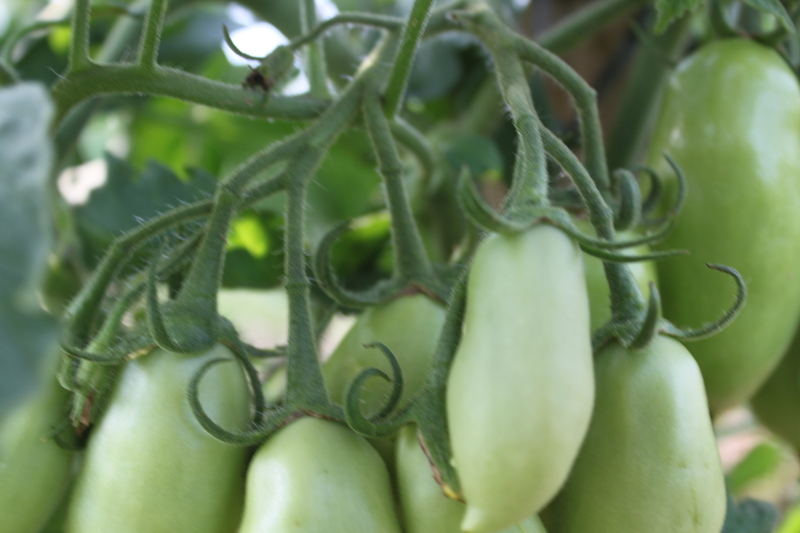 With that in mind – we certainly developed some favorites over the years that have proven to be “must haves” in our garden – both for incredible flavor and production. So we thought for today’s Sunday Farm Update – we would share our top 8 plants that we love the most in our garden – all of which have proven to be not only effective in helping us reach our food goals – but are simply delicious to eat! So in no particular order – here our are top 8! 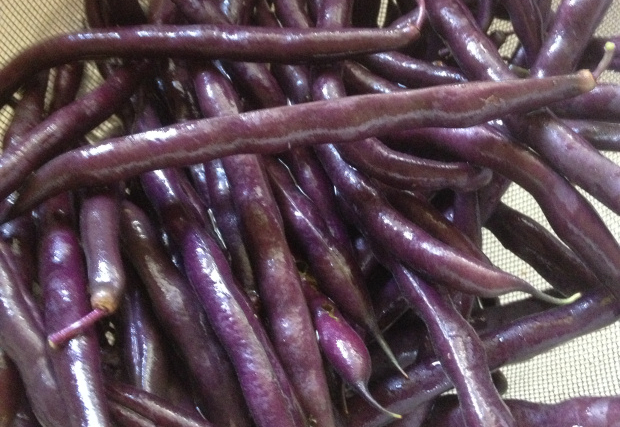 Yes – it may sound odd – but there are purple green beans! We grow a bush variety called Royal Burgundy – and not only do the beans turn to a beautiful deep purple color on the plants – they are a heavy producer – making them a great choice for fresh eating and canning! Don’t be too alarmed – they do turn back to green when cooked – so your kids might still eat them :). They also hold a little bit of sentimental value for me – as my parents grew the same variety in their garden when I was growing up. 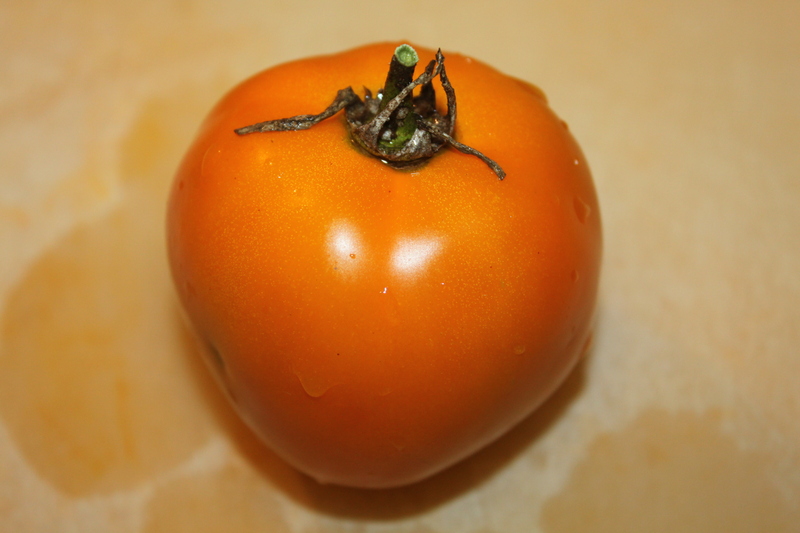 The Cherokee Purple Tomato – bursting with flavor! This heirloom variety is said to be handed down from the Cherokee Tribe – and without a doubt is my personal favorite when it comes to tomatoes! The plants produce a large quantity of baseball-sized fruit – and turn a deep red / purplish color when ripe. When sliced open – they are meaty, thick and full of the most amazing flavor you can imagine. Beyond the simple pleasure of slicing and eating – we love to add them to our pasta sauce not only for their intense flavor – but the deep, rich color they add to the finished sauce. It goes without saying that they also make the perfect tomato sandwich! 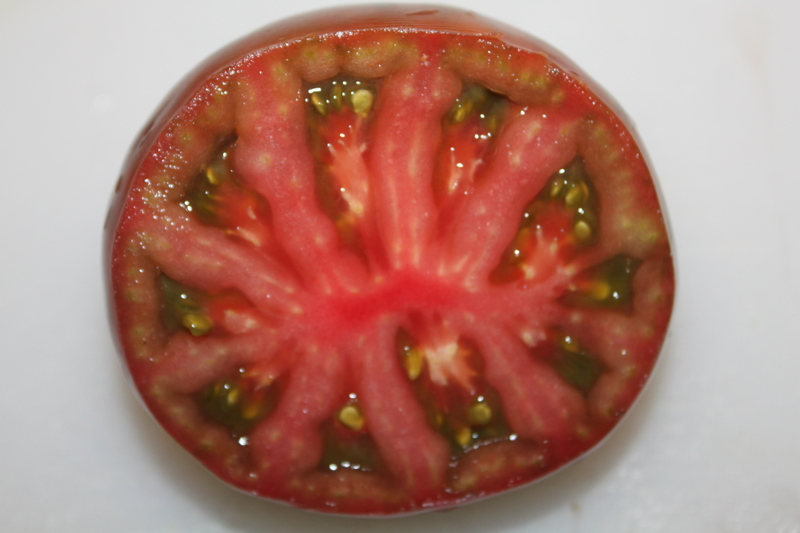 For more on growing heirloom tomatoes – see: Growing Heirloom Tomatoes – Experience REAL Flavor! Our big-time canning tomato! This is the heirloom variety of what most know as a “Roma” style of tomato – and is the key to a lot of our canning recipes. The plants produce boatloads of thick-walled, flavor-filled meaty tomatoes – perfect for making and canning our pasta and pizza sauces, salsa, ketchup and more. They are also a great choice for salads because they stay nice and firm when sliced. The Five Color Chinese Pepper – bursting with color and flavor! If you like hot peppers – you have to grow these! We first picked up these ornamental hot pepper seeds in Florida a few years back when visiting Mary’s parents – and what a lucky find! 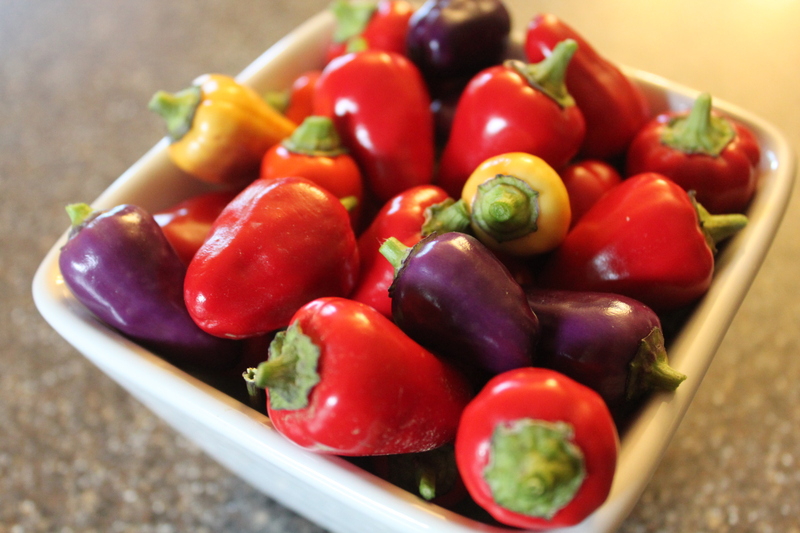 They grow hundreds of 1″ peppers on each plant in a beautiful array of colors from light purple to orange to deep red. The plants are so beautiful in fact that we began to grow them all around our farm’s landscape beds to add color and interest. One of the best tomato producers in our garden last year – the Valencia Orange tomato lives up to its name – giving back loads of perfectly shaped tennis ball-sized orange tomatoes that came on early and lasted well into the late summer months. This is the perfect tomato to use fresh in salads and salsa – but when you use it to make homemade tomato soup – it becomes the star of the show! It’s hard to describe other than to say its flavor is out of this world! A perfect little sweet pepper to grow! 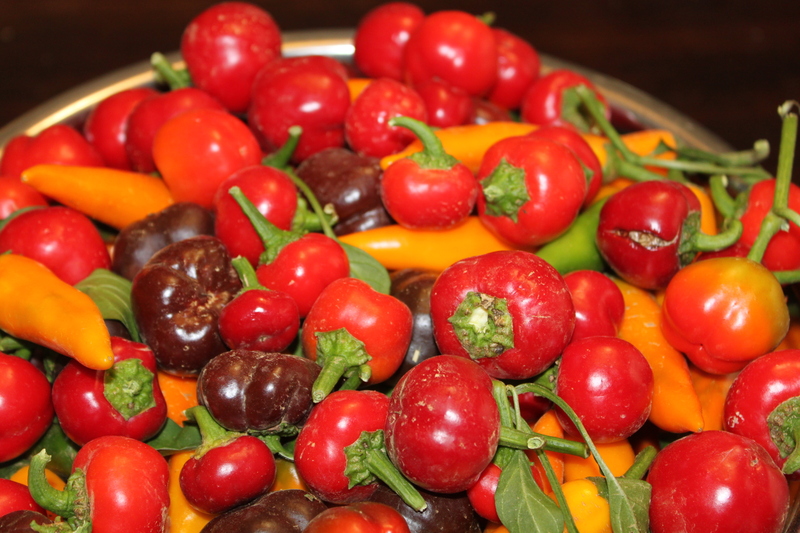 These plants grow to about 18″ to 24″ high and are covered in tons of 1″ to 2″ sweet mini-bell peppers. They are perfect for salads and salsa – or for just popping into your mouth and eating! They are also great for appetizers! They have a small seed core that is easily removed – making them perfect for stuffing. We fill with a spicy chicken and cream cheese stuffing that makes for an incredible paring with the sweet taste of the peppers. So this one is a must if you love to cook! 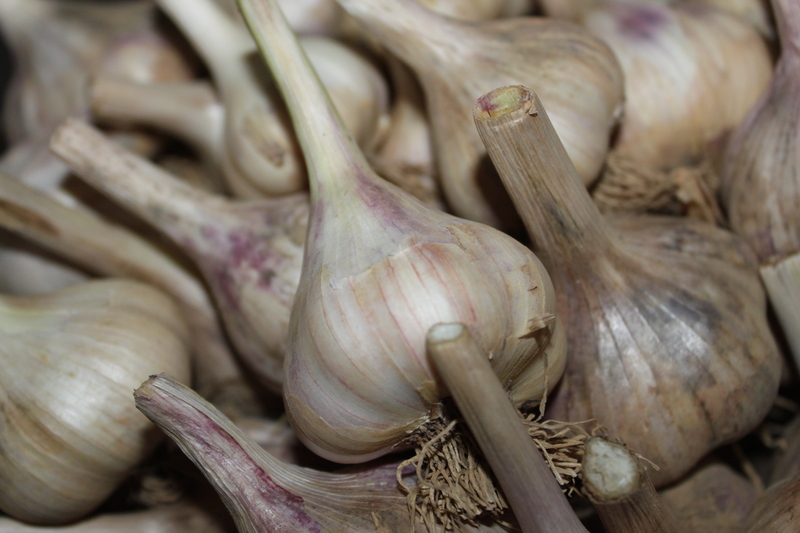 There is nothing quite like garlic – it brings life and wonderful aromas to so many dishes in the kitchen – and is a key ingredient in our salsa and pasta sauce recipes. We grow a variety called Siberian – and like its name suggests – it is perfect for the cold winter climates of the mid-west and northern states. Beyond it’s amazing flavor – this variety stores well – making it easy to re-use the seed stock each year. 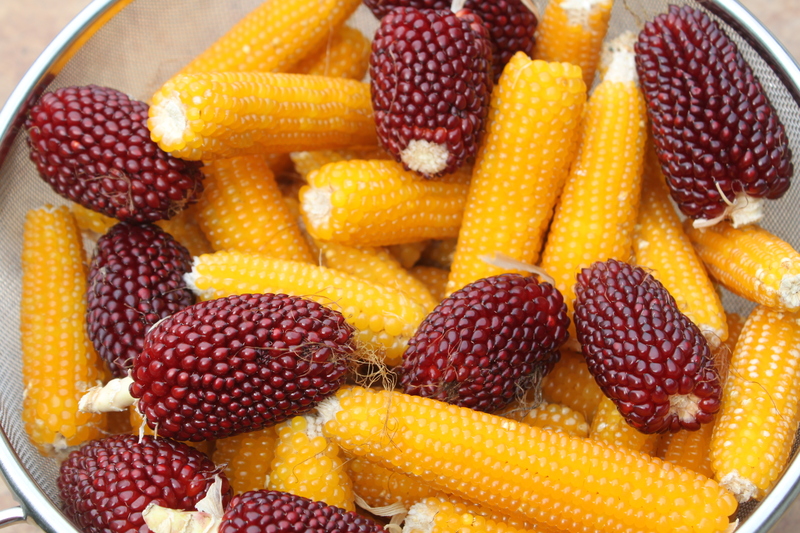 Many never think of growing their own popcorn – but it’s so easy and the taste can’t be matched! We grow both Strawberry and Ladyfinger varieties – both heirlooms that are packed with flavor! So there you have our Top 8! Let us know if you have any favorites as well and Happy Gardening! ← DIY Table-Top Seed Starting Stand – Start Your Garden Seeds Indoors!